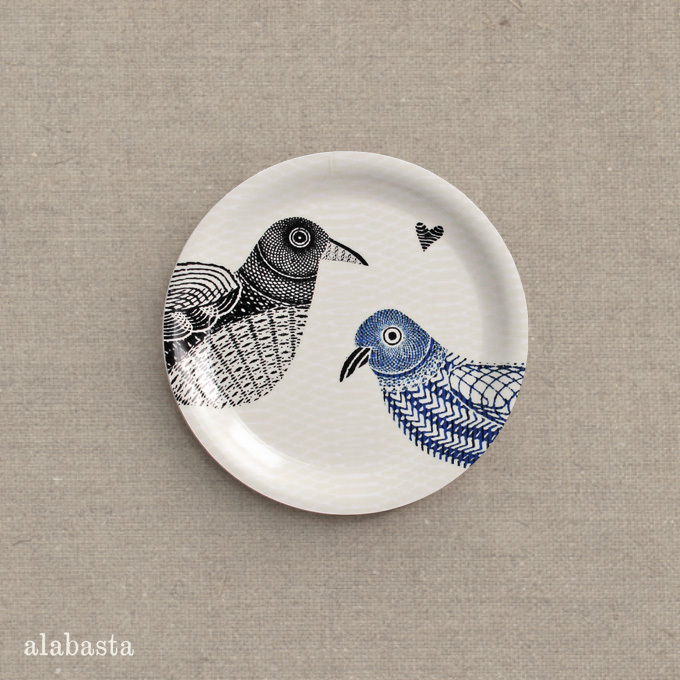 The Love Birds collection has just had another addition in the form of an 11cm 'mini tray'. Instead of repeating the format with two whole birds which would have scaled the pattern down a bit too much we decided to just have the heads of the birds on this one. They are still enjoying each others company and the little heart is on there too to clarify the subtle sentiment. These mini trays work well as coasters or small plates and because they are dishwashable are ideal for food use. If you are a retailer they are now ready to purchase in boxes of four from The Åry Trays website in addition to the other four sizes of the Alabasta Love Birds trays. 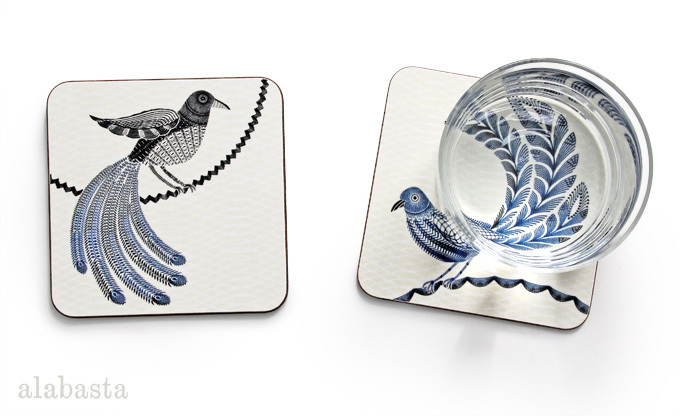 Flat 10cm coasters depicting individual male and female birds with black velour non slip backing are also available from Avenida Home here.